Success! 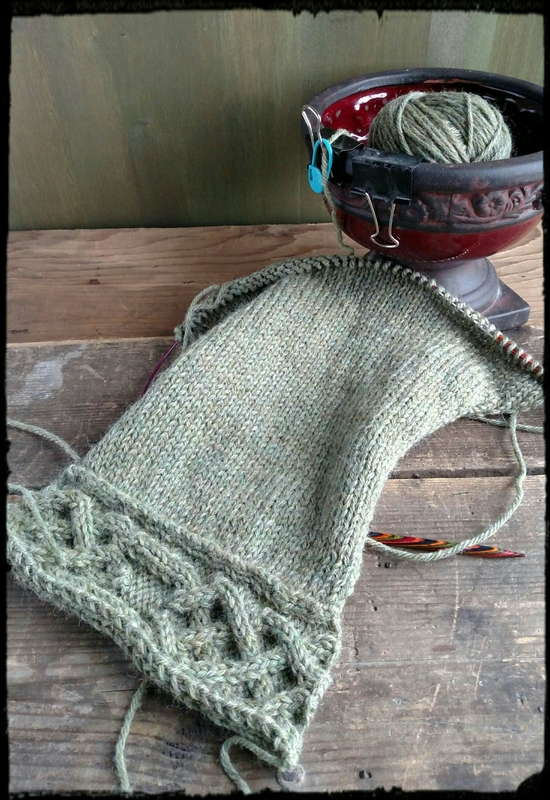 I had an aha moment last night when getting ready to pick up the stitches on the cuff to start the first sleeve of the cardigan. I suddenly had a very clear and vivid image that had been eluding me until now on how to complete it correctly. Perhaps my ‘continental hybrid’ knitting technique is not so off the mark after all. I was able to successfully pick up the required stitches, neatly and cleanly, without loosing a row! Whew! Which for this particular pattern would have meant giving up part of the intended design. Perhaps if was the fresh air and exercise I got yesterday that cleared the roadblock from my brain. Yesterday was actually warm enough by the afternoon to be outside without a jacket (sweater yes, but no jacket over it). K and I went to our local butcher shop, Sniders Meats, for our favorite garlic burger patties to take over to his mom’s for lunch and throw on the grill. Its a weekly tradition in the summer so it was nice to have a little taste of it again – giving us one more thing to look forward to as the temperatures warm. But before that it has to get cold again. Today. Yesterday was in the 60’s Farenheit, and by this afternoon we will getting snow. 2-4 inches of it here on the valley floor. So instead of working out in the yard as I did most of yesterday I’ll be knitting. What else?! The first sleeve is coming along quickly. I should have it finished by lunchtime and the second one well on its way to completion by the end of the day. And more success! 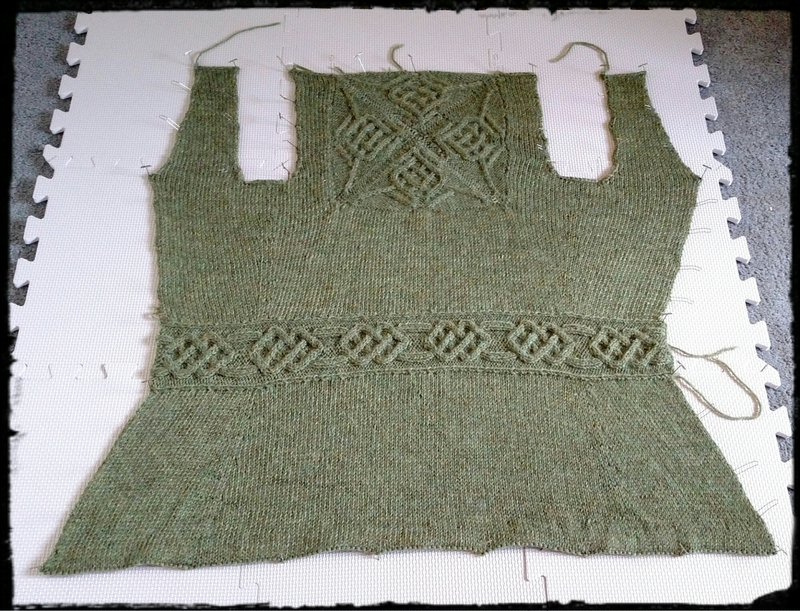 Blocking out the sweater yesterday gives me hope that all will be well with the medallion. Hoorah! Next Post What to do…What to do?